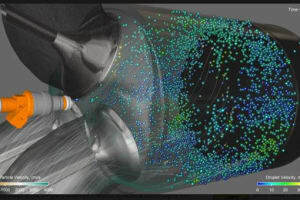 When parametric modeling was introduced to the CAD world in 1988 with PTC’s Pro/ENGINEER (now called Creo), it made a big splash. 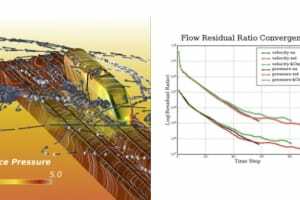 So big, in fact, that parametric feature-based modeling is still the dominant CAD paradigm, 30 years later. 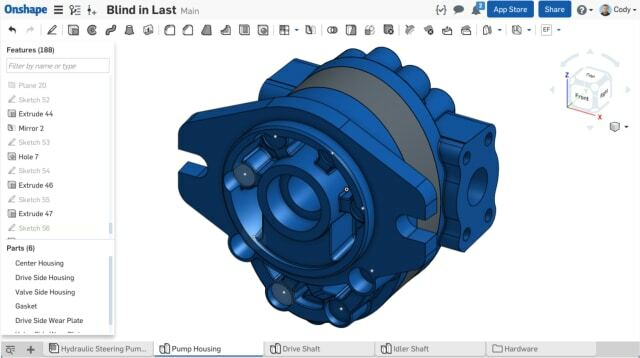 Onshape, a relatively new player in the CAD game, has not been shy about making claims of reinventing CAD. 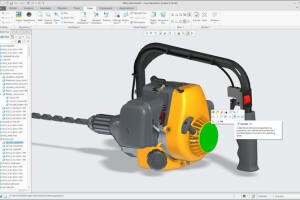 For one, it was—and still is—the first full featured CAD program to run completely in the cloud running on a browser. That was just a start. 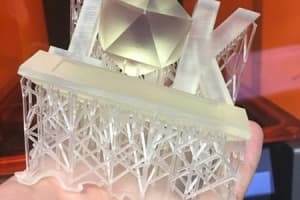 Onshape says its unique architecture further distinguishes it from other CAD programs. 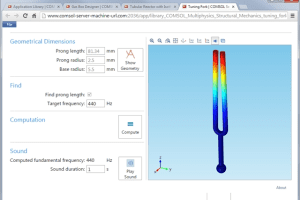 “We’re using our cloud architecture to make core CAD better,” says Onshape’s Cody Armstrong, as he dives into what makes Onshape’s Parametric Modeling so 2.0. 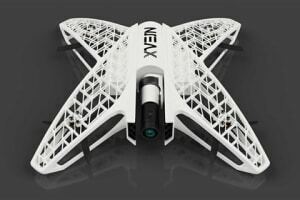 While their new approach introduces changes across many areas—including Multi-Part Design, In-Context Design, Sheet Metal Tools, and Custom Features—two areas have just joined the list: Configurations and Standard Content. 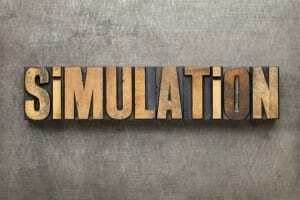 Configurations allow CAD users to set up multiple variations of their models with different parameters—Armstrong offers the simple example of a phone configured in two sizes, Plus and Regular. Traditionally, this is kept track of in a very unwieldy manner, with even a few numbers of variations quickly producing massive tables. 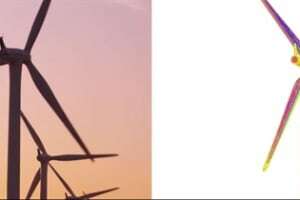 “For example, trying to describe a simple bracket with multiple lengths, heights and hole patterns would result in an enormous and clumsily embedded Excel spreadsheet,” says Armstrong. 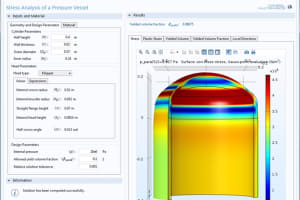 Onshapes’ configurations do not need to use the Excel spreadsheet, letting users create separate configuration variables for each parameter that can be a range of values. Instead of having a table listing each possible permutation, this approach allows you to “build an infinite number of part configurations on the fly,” as Armstrong puts it. 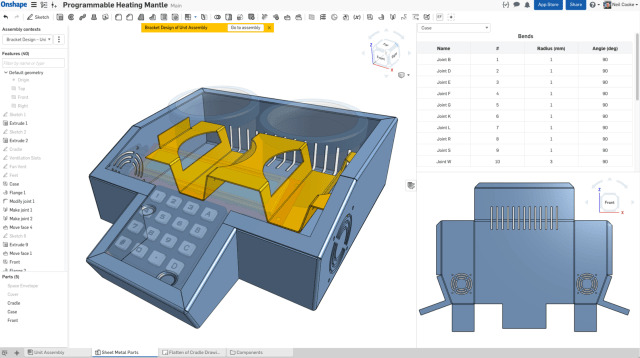 Onshape also allows much more to be configured than traditional CAD systems—not just dimension values and feature suppressions, but “just about anything,” according to Armstrong. “I can just go into the transform, and select anything I want to configure.” This includes options like angles, continuous values, and entity selection sets. 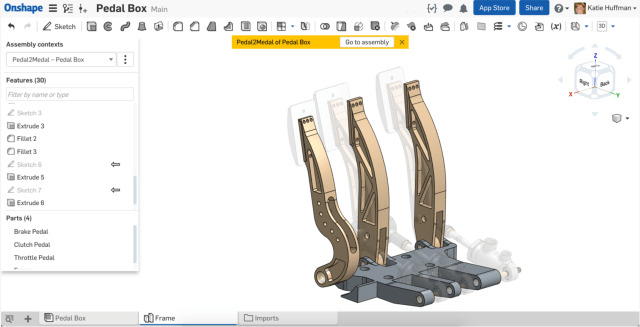 The second big update recent to Onshape is “Standard Content,” which means to make the handling of fasteners in traditional CAD appear relatively cumbersome. 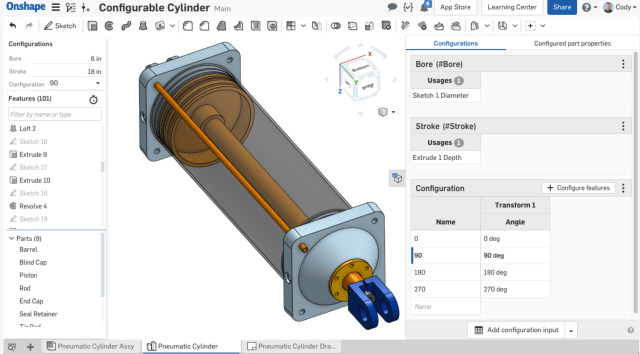 Onshape now addresses this by including a built-in library (no more add-ons!) of standard content. And adding fastener content is easier than ever, as Armstrong explains. “Placing a nut, bolt, screw, or washer is just a single click,” he says. 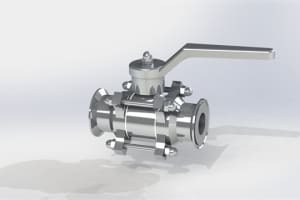 Fasteners can be added in bulk as well, simply by selecting a face or faces. An “autosize” feature will even guess at the correct size fastener, as it seemed to do in our demo. 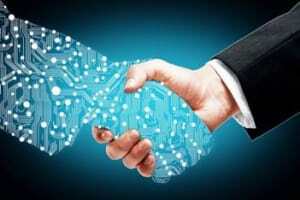 The part number and description can be changed to reflect your company’s standard, and this change automatically propagates to everyone in the company. But perhaps the best feature is the ease with which fasteners can be adjusted. 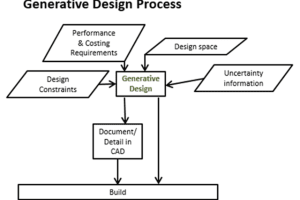 Hirschtick describes multi-part design in traditional CAD systems as “kind of a chewing-gum-and-duct-tape experience.” This is because, traditionally, users must define a separate feature history for each part, and all parts must be in their own separate file if used in an assembly—resulting in a lot of intermediate files that add nothing to the designer but complexity. 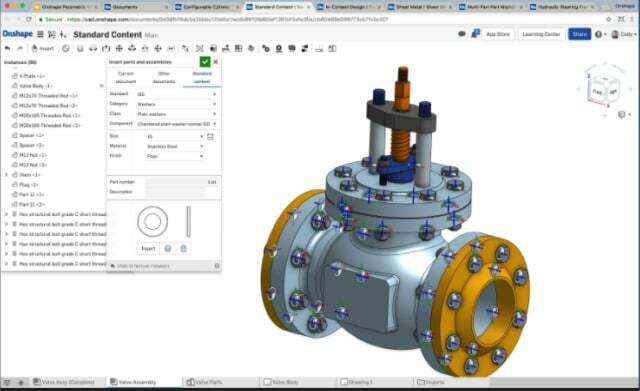 Onshape allows all parts that are related to each other to be designed in a single place, with a single parametric history. 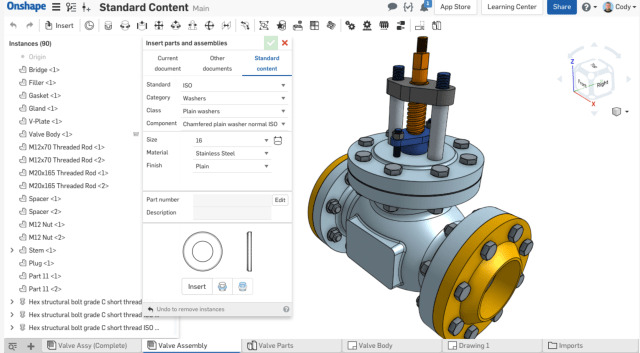 Users no longer have to sift through multiple files, and relationships between parts are more robust—according to Hirschtick, this means Onshape enables true top-down design. 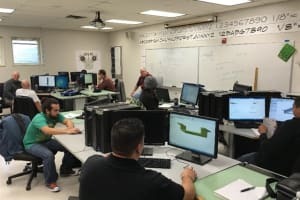 If you’re a seasoned CAD user, you probably already understand the frustrations many experience when trying to design their parts and assemblies in context with other parts and assemblies. 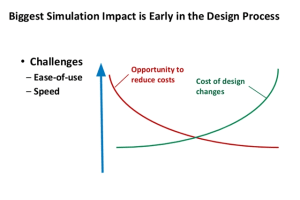 If you’re not a seasoned CAD user, this should paint the right picture: according to Armstrong, in-context design can cause so much trouble for users that many companies have banned the practice entirely, and many traditional CAD programs explicitly offer an option to disable it. 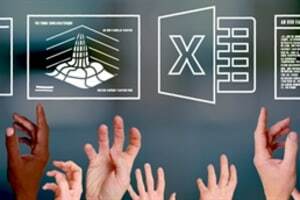 Onshape’s database architecture enables a unique approach to in-context design that circumvents its potential for trouble. At any time, users can create a snapshot of an assembly—called a Context—that is stored in the database and can be given a unique name. According to Armstrong, when you create references in this Context, they won’t be broken and your part won’t fail, even if a colleague modifies the assembly. You also have complete control when, and if, you need to update a part, so you can say goodbye to surprise breaks. 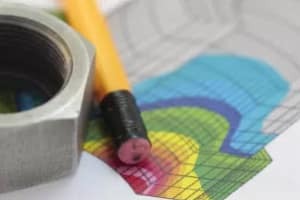 Onshape’s sheet metal tools claim superiority over traditional CAD systems in that designers can see a folded view, flat view, and table view of their sheet metal part simultaneously. These views also update in real time, which makes it easier for users to visualize their changes without having to jump between different views. 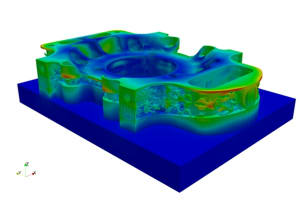 The feature, introduced last year, has been received very well by the Onshape community, according to Armstrong. 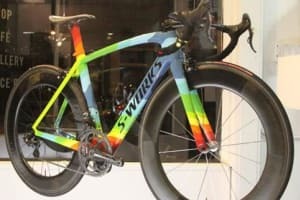 “It’s another example where we've taken our cloud-based architecture and made core CAD better,” he said. 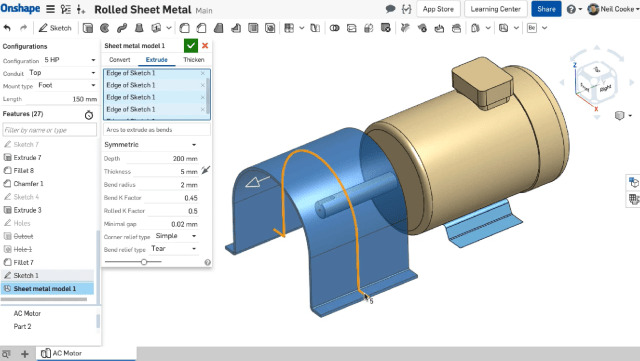 The latest update also introduces a rolled sheet metal feature, in which Onshape will recognize large radius arcs and convert them into rolled sheet metal parts, treating sharp corners as bends. Lastly, Onshape offers customized CAD functionality through their programming language, FeatureScript. 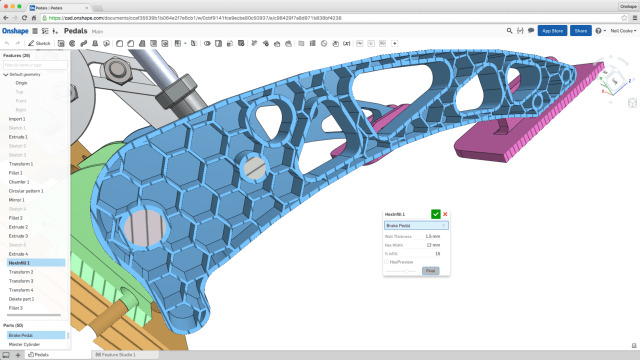 Using FeatureScript, users can develop Custom Features, which are a step above ordinary macros and APIs, says Onshape. They behave in the same way as Onshape’s built-in features. There is good reason for that, according to Onshape: users and Onshape developers both develop in FeatureScript. 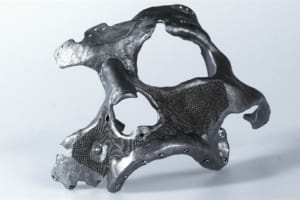 Onshape wholeheartedly supports parametric modeling, Armstrong says, although it’s clear that the company has a strong vision for how this CAD design paradigm should evolve. 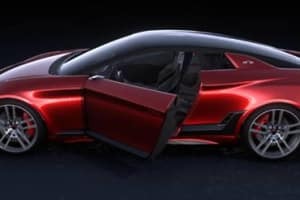 The reboot of Configurations and Standard Content are a big step towards this vision, and paired with Onshape’s novel approach to multi-part design, in-context design, sheet metal tools, and customizability, the evolution of parametric modeling seems to be headed in a good direction for CAD users. 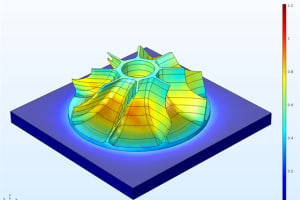 To learn more about Onshape’s concept of Parametric Modeling 2.0, read CEO Jon Hirschtick’s blog post here.